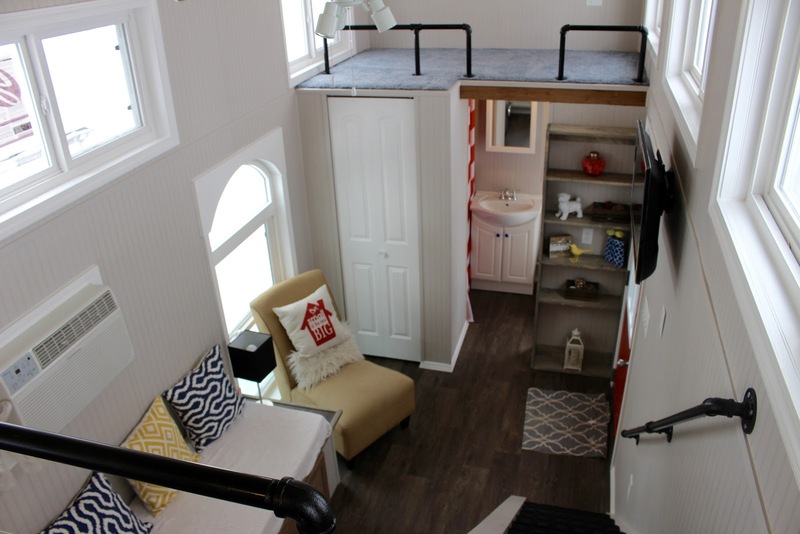 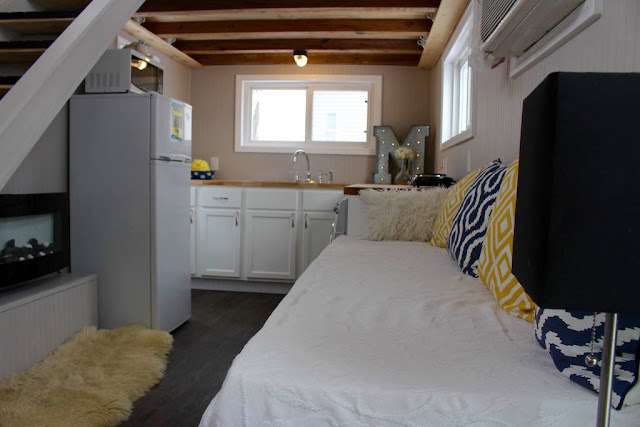 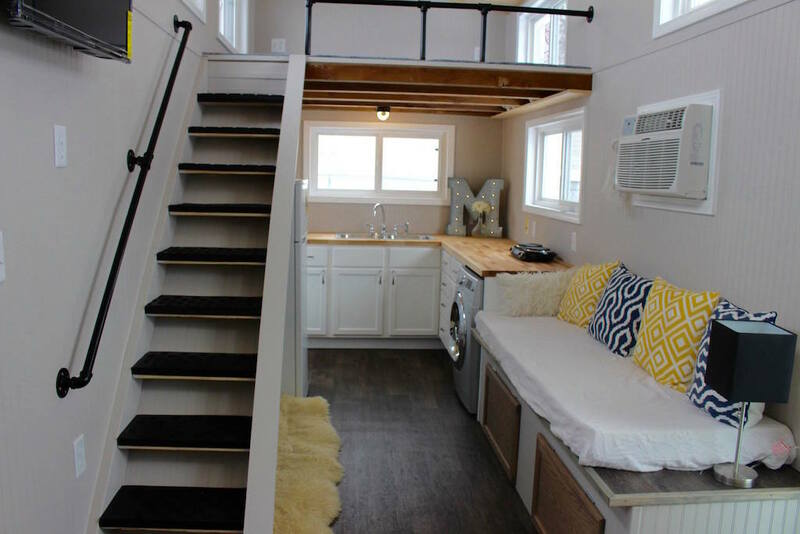 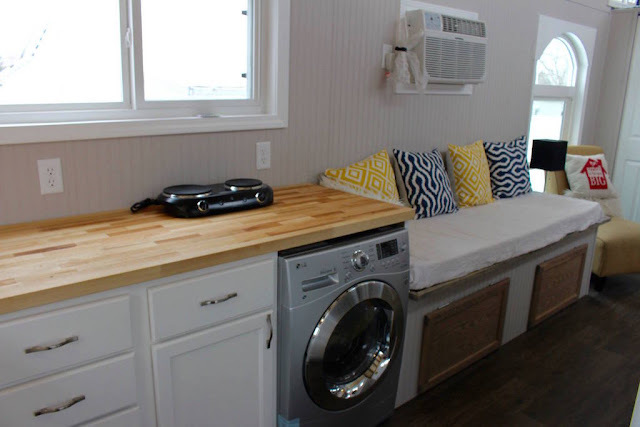 This tiny house, named the Relax Shack, on wheels has a great layout that makes the most use of its space. 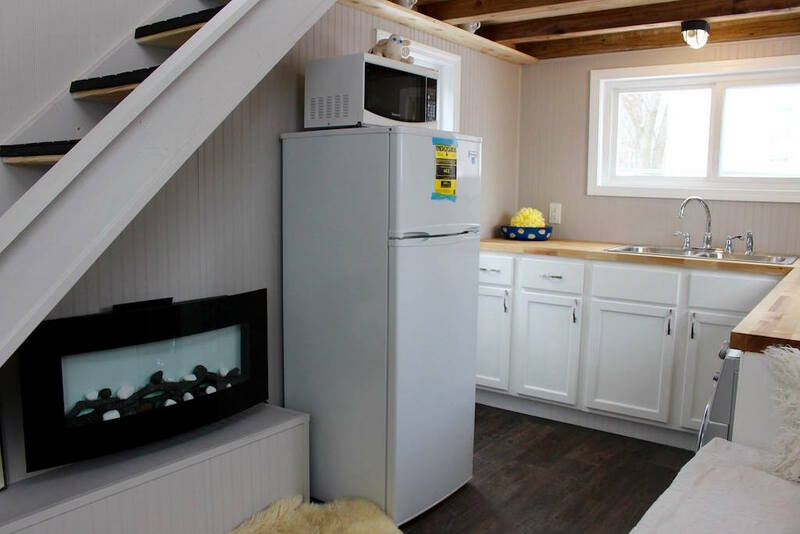 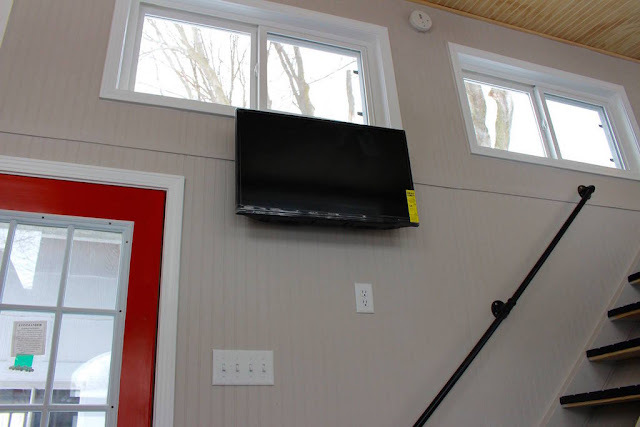 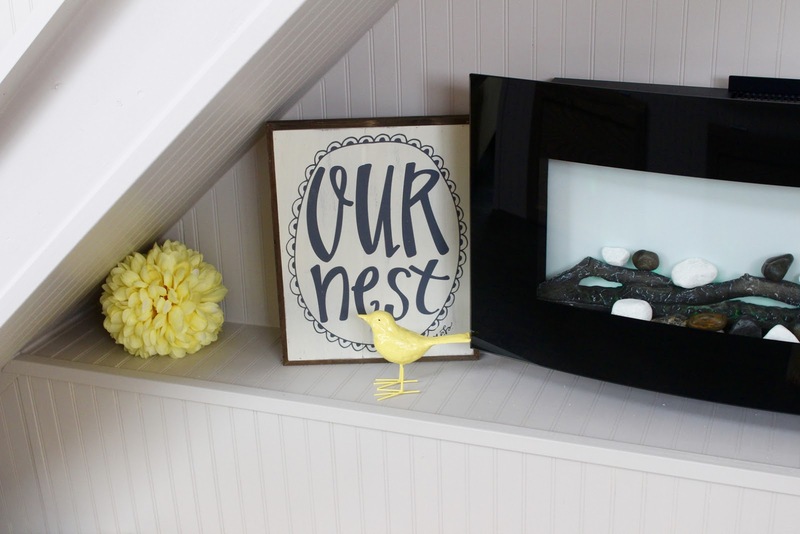 The 273-square-feet home has two lofts (one for sleeping, another for storage), a full kitchen, a dining and living room area, a fireplace, a washer/dryer combination, and high ceilings with ample window space to give the home a nice open feeling. 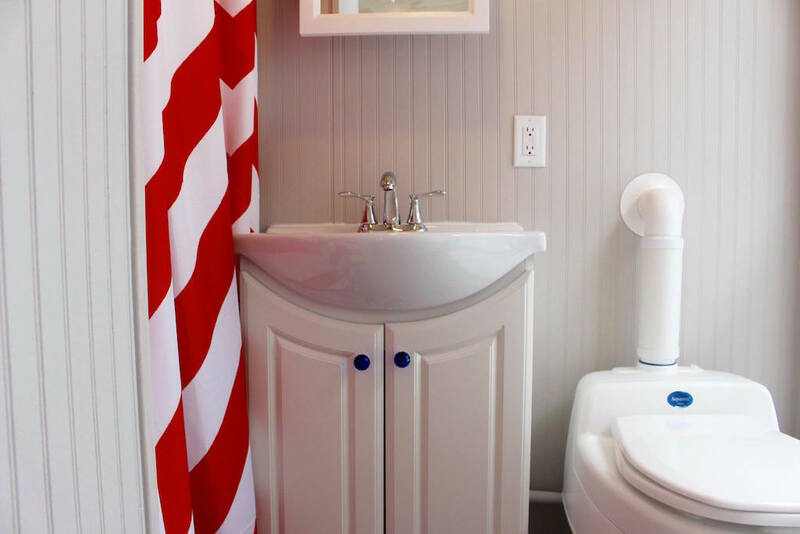 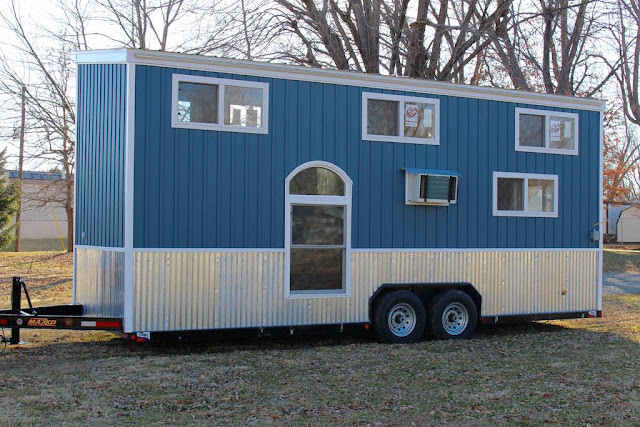 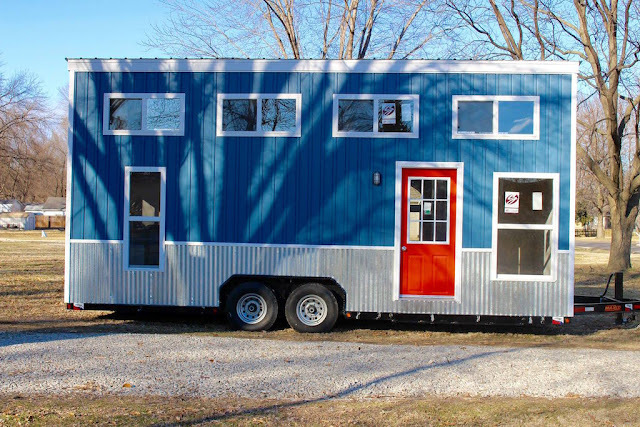 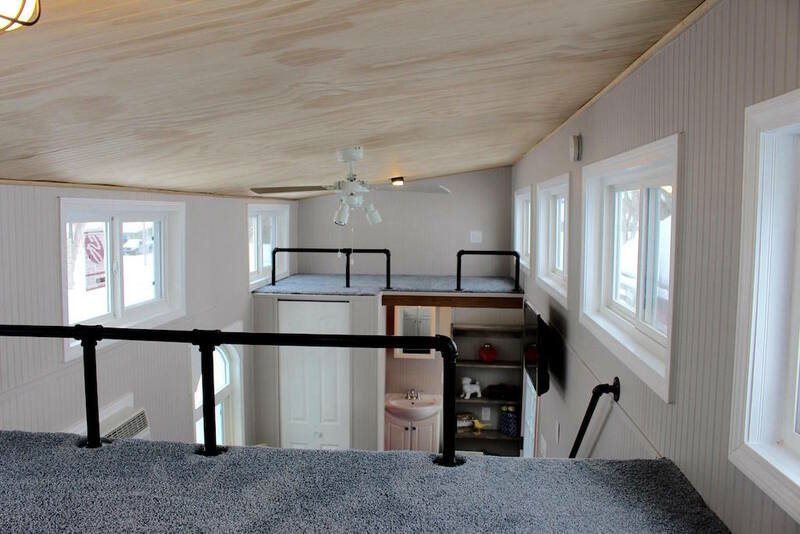 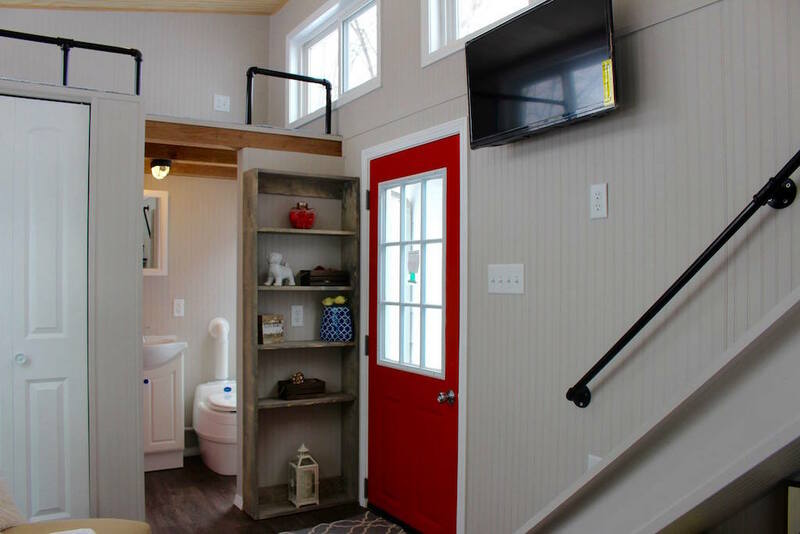 It's currently on sale for $39,000 in Saint Peters, MO, from Mini Mansion Tiny Home Builders.